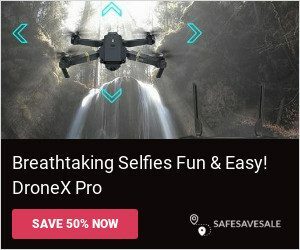 Best Selfie Drone 720X Review - Dronex pro 2019 Take HD Pictures & Videos Anytime, Anywhere! Having a great beard is not easy – there’s lots of work but it’s a labor of love, but sometimes your beard can be affected by beard dandruff. These small flakes can ruin an otherwise epic beard and often it feels like there’s nothing you can do about it. The reality is, beard dandruff is controllable, but you must know a few things about it – specifically what skin condition you have causing it along with the different solutions to control and in some cases even eliminate these pesky flakes. The good news is there are lots of remedies on the market, and for your beard the many different options means you can find the one that works best for you without having to sacrifice something you worked so hard to crease. So, what is dandruff? It’s pretty simple actually – your skin is always shedding its cells and dandruff is just a large cluster of these dead skin cells. Yes – it’s completely inconvenient and annoying, but the process your skin goes through is essential. The shedding helps regulate your body temperature among other things. For your beard, it means the right oil and texture allow it to look and feel good. The reality about dandruff is that it’s not something that can be cured – if you have beard dandruff you are pretty much stuck with it. When we talk about causes, there are several different things that can affect this, which we will cover now. As stated earlier, beard dandruff comes from your skin shedding its cells and these cells getting clumped together and forming these annoying white flakes. Depending on your condition, you may have an inherited issue or something that can be cleared up with some time and effort. As you already noticed, some of these causes are straightforward and easy to resolve, but let’s go through the ones which are more medically-based so that you know exactly why your beard is afflicted with dandruff. Eczema – this is a specific type of dermatitis, a.k.a. skin inflammation. These raised red bumps are annoying but simple to resolve. Like psoriasis, eczema is not contagious, but it falls into that “really annoying” type of disorder because it’s not noticeable until you notice flakes. Seborrhoeic Dermatits – This is a specific type of skin inflammation characterized by redness and it is an inherited issue. This means you will be dealing with it all your life and so will your beard. Your beard is especially affected because this dermatitis is often found near the nose and around the mouth. Sometimes, it’s simply due to allergens around you, but you are going to be fighting this all the time. Malassezia – This fungus is most commonly associated with beard dandruff, and because it’s a fungus it’s much easier to resolve than the other conditions listed above. This fungus does look a lot like the dermatitis. The good news is though your skin may prone to this fungus some diligence will always keep your beard looking sharp. When it comes to the non-medical issues listed above, the fixes are relatively quick and simple. The best part is often they don’t cost you any money! Still, no one with a beard wants to deal with dandruff, so the best place to start is checking the skin underneath the beard. Some of these disorders, psoriasis for example, appear on other areas of the body and are therefore pretty easy to diagnose. Getting rid of beard dandruff goes back to how you care for your beard. Generally, you should always be brushing your beard after you wash your face or shower. 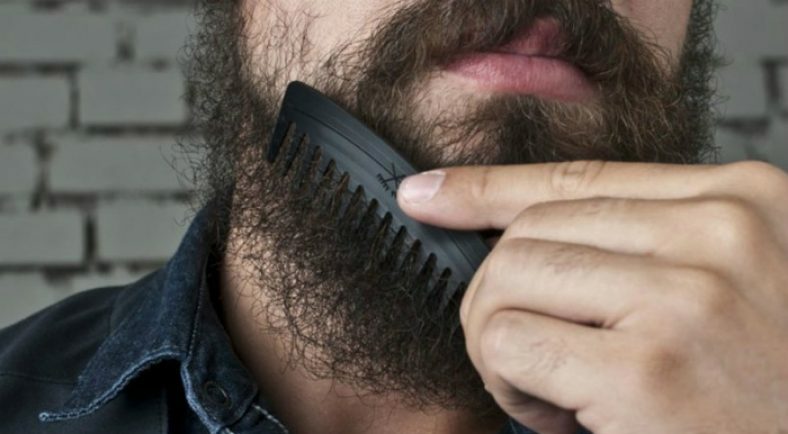 Your beard is pretty awesome, but the stuff getting stuck in it isn’t. Your beard is a collection point for dirt, dust, grime, and other types of germs that can cause real problems with your beard. It’s important to do this type of care for your beard every day. Combing and/or brushing your beard allows the skin’s natural oils to coat the hair and make your beard look great. It’s also important to get out any tangles, as these are areas where a variety of problems can be found. If you have allergies due to beard shampoos or other products like beard oils, it’s best to discontinue their use. The first course of action if you have beard dandruff is try changing products to see if that’s all you need to do. If that’s the case, you’ve saved yourself the trouble of going to the doctor for the medical causes. For malasezzia, the cure is as simple as anti-fungal beard shampoo. Make sure you scrub it deep into your skin, and that will effectively kill the fungus. Keep maintaining your beard and you’ll notice the dandruff flakes beginning to wane. Psoriasis and dermatitis are different problems though. The reality is you will probably need to see a doctor to get the right products to reduce and even eliminate the sores that cause your beard dandruff. Generally, doctors will prescribe corticosteroids to reduce the inflammation in these areas. Make sure you apply the cream and the sores will go down relatively quickly. The other consideration that can be helpful is diet. If you have a bad diet, that usually inflames these disorders, so make sure you’re eating right. Ultimately, you will probably notice psoriasis/dermatitis in different areas of your body including the elbows and knees. Regardless of whatever reason you have beard dandruff, a great way to control it is with beard oil. Beard oil can be purchased at your local grocery store or online. The best part about beard oil is that it’s made exactly for guys like you! The application is very simple and works best when applied during your normal beard maintenance. Beard oil is also cheaper than the prescription creams, so if you find beard oil is controlling your dandruff effectively, you won’t need to fill those prescriptions as quickly. Some beard enthusiasts even make their own beard oil, but the critical thing to be aware of is beard oil allows an extra layer of defense to your beard while making it look incredible! Just ask a guy with an amazing beard – he’ll probably tell you what oil he uses and why he recommends it. The reality is having a beard is work, but why go through all that effort to grow your beard only to not work on it. Make sure that you understand the underlying causes of beard dandruff and rest assured this is an easily solvable problem!